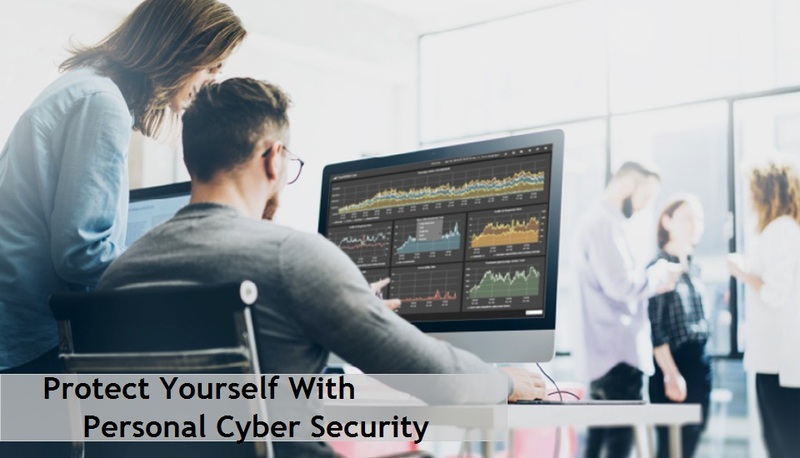 With the increase in the cyber attacks, security of the digital assets and identity is a prior concern for every organisation, business house or an individual. There are huge growth in the cyber attacks in last 5 years by various types of ransomware. This attacks put business in billions of losses. But for this there are some people or firm who can help you in these circumstances. Having your computer hacked is a nightmare. I know. Talk about having your business turned upside down. But it’s partly my fault. I was still using Microsoft Windows XP and Windows XP is vulnerable to attacks from ransomware, like Petya and WannaCry. Actually, these hacking attacks are so significant that Microsoft has been asking for help in stopping them. First, Microsoft is asking companies and individuals to stop using XP. The second request is to governments but that is a harder one. Microsoft has been asking governments to please alert the company if they find something vulnerable in any of the software instead of taking advantage of it to hack customers. Neither request is easy. But the alternative is more malware attacks that will destroy or steal data. Part of the problem is that a lot of computer users are not very smart. Malware attacks don’t happen by magic. When they do happen, the reason is one of two problems. The first problem is the user. He may be gullible, uninformed, or distracted and clicks on an email link or opens an attachment without knowing what it is. The other problem is the software, which usually turns out to be old, no longer maintained, and missing the most recent security updates. Microsoft, along with other software companies, isn’t able to do much about users not following proper security procedures. While software like Microsoft’s Office 365 can scan attachments and links looking for malware, there is not much a company can do about that one user. But what companies can do and should do is upgrade their systems to more secure software. From the point of view of Microsoft, it means getting rid of Windows XP and moving to a more recent secure operating system. Even though Microsoft stopped supporting XP in 2014, it is still used on about 6 percent of all personal computers. What makes XP particularly vulnerable is that it allows installed software complete computer access. Unfortunately, upgrading from Windows XP to Windows 10, which is much more secure, can be a bit complicated. The first part of the upgrade is making sure that whatever software is running is compatible with Windows 10. If it isn’t, it will need to be replaced with compatible software that works with Windows 10. While there may be some expense involved in upgrading the current software, having to replace it can be time consuming and expensive. Once the installation of a new operating system is complete, letting your computer sit idle while you download and install is not a waste of time. This is an absolute necessity to save headaches down the road by protecting your system from new forms of malware. Unfortunately, one of the biggest problems Microsoft has is trying to get governments who uncover vulnerabilities to share the information with them. Instead, the government hoards the information so it can hack other government’s computers. An example of this was the recent attack on the National Security Agency which had a whole list of known hacking tools. These tools were then used to create the ransomware WannaCry. Microsoft’s chief legal officer, Brad Smith, supports the adoption of a worldwide policy that would commit nations to disclosing weaknesses to the software company. As part of this policy would be a pledge to use malware against civilian targets. A recent example of this is the Russian attacks against election systems and political candidates in the 2016 presidential election. So while Microsoft promotes computer safety and security, unfortunately, there are other software companies that do not. Today there are cyber criminals that operate as a team, skilled programmers who create software used to attack millions of consumers. It is this consumer, especially those with a high net worth, who do not have the same type of computer security as large corporations and, even worse, don’t keep their computer operating system updated. That is where the need for a company like Rubica comes in. The purpose of Rubica is to protect individuals from cyber crime. Rubica uses computer experts organizations like the US Navy, NSA, and Scotland Yard. It has the only answer to cyber crime strong enough to protect international corporations. But rather than corporations, Rubica's goal is to provide personal cyber security to the individual, your family, and your business. And Rubica protects not only your computer but all your devices, no matter where you are or when you use them. You no longer have to worry about complicated security software with Rubica taking care of it in the background. All you have to do is download the applications to your devices and let Rubica do the rest.